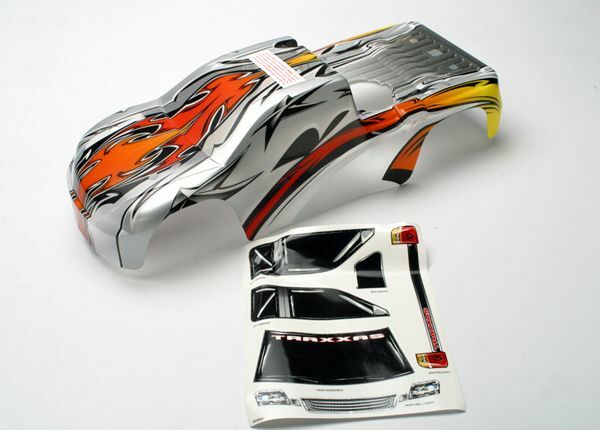 This is the TRA5311X Body w/Prographics for the original Traxxas Revo. Covers and protects the vehicle. Choose your own color and personalize your body. The detailed graphics are fully painted, but the rest of the body is clear, so you can choose your own main body color. Simply grab a can of paint and spray the final color. It's easy for anyone to get instant, professional results. The bodies are completely trimmed and include the body post holes for easy installation on the chassis. BOX DIMENSIONS: 7.00" W. X 5.50" H. X 18.50" L.
* Please check your manual and official websites to verify compatibility.